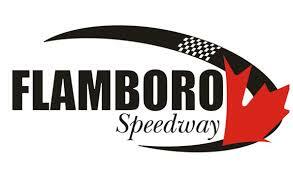 by Tommy Goudge (September 15, 2017) – Ohsweken, Ontario – Ohsweken Speedway officials are pleased to announce that Mike Emhof Motorsports will again sponsor a cash award at the Arrow Express Canadian Sprint Car Nationals weekend. The $200 award will be presented by Mike Emhof Motorsports to the highest-finishing team racing an Eagle chassis on Saturday, September 16. Many other cash prizes will also be available, pushing the total purse for the Saturday, September 16 event over $70,000. Stay tuned for more exciting announcements regarding Canada’s largest short track event! Tickets and campsite reservations are available NOW for the 2017 CSCN weekend coming up onSeptember 15 and September 16. Call 519-717-0023 or visit www.OhswekenSpeedway.com for more information on ticket sales and campsite reservations. The 2017 Canadian Sprint Car Nationals weekend kicks off with a Test & Tune session on Thursday, September 14, while racing will commence Friday, September 15 with the Burger Barn Night Before the Nationals, and finish with the 13th annual Arrow Express Canadian Sprint Car Nationals on Saturday, September 16. The 13th annual Arrow Express Canadian Sprint Car Nationals will again pay $12,000 USD-to-win and $1,000 USD-to-start the 35 lap A-Feature, along with several other cash awards. The entry list currently stands at 63 cars, with more expected. Many CSCN entrants will represent one of the six official affiliate sanctions for the event, including the Ohsweken Speedway 360 Sprint Car division, the Southern Ontario Sprints tour, Patriot Sprint Tour, Empire Super Sprints, National Racing Alliance Sprint Invaders, and Great Lakes Super Sprints. The Strickland’s GMC Crate Sprint Cars will be the support division for the 360 Sprint Cars on Saturday, September 16. This year’s Burger Barn Night Before the Nationals again includes a pair of 15 lap A-Features for the 360 Sprint Cars, plus the Dave McLeod Memorial Shootout, Kevin Ward, Jr. Young Stars Challenge, and the Middleport Mechanical Thunder Stocks, HRW Automotive Mini Stocks, and Gale’s Auto Aftermarket Bombers. Both of the Twin 15 A-Feature winners on Friday will be guaranteed a starting spot in theSaturday night Canadian Sprint Car Nationals A-Feature. The Dave McLeod Memorial Shootout will feature top drivers from each of the six CSCN affiliate sanctions. The youngest drivers signed in for competition on the Night Before the Nationals will make up the 13 car starting field for the 13 lap Kevin Ward, Jr. “Young Stars Challenge”. Teams traveling to Ohsweken from outside Canada are encouraged to click on the following link –http://www.ohswekenspeedway.ca/BorderForm.pdf – to view and print documents which will help you in the international border crossing process. Live pay-per-view video is available for both the Night Before the Nationals on Friday, September 15, and the Canadian Sprint Car Nationals on Saturday, September 16. Visit www.CanadianSprintCarNationals.com for details. The Canadian Sprint Car Nationals has been the annual season-closing event at Ohsweken Speedway since 2005, and brings together drivers and teams from several affiliated sanctioning organizations in the area, plus teams and drivers from all over North America and beyond. The event has drawn an average of 70 entries for the 12 previous editions, with a total of 249 different drivers from 16 American states, five Canadian provinces, Australia, and New Zealand taking part.